Great for use in the home. Protect surfaces from scratches and chemicals. This mat is big enough for any sporting rifle or shotgun. 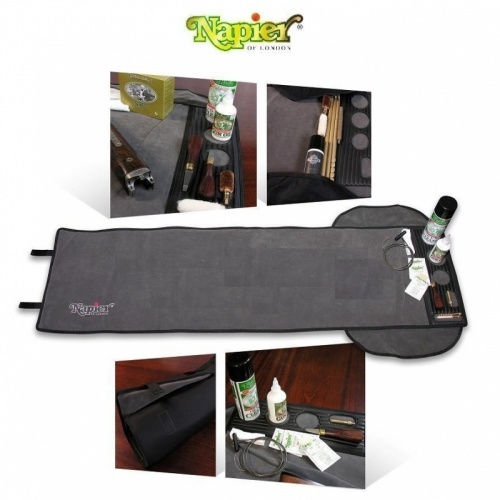 Non slip neoprene base & a chemical/oil resistant synthetic suede work surface. Handy docking panel keeps cans and small parts in place, easily rolled up and carried whenever required.